This transmitter is very stable and will deliver up to seven watts of power with the components and tubes shown. Do not be put-off by valves as they are VERY easy to work with and it seems that there are quite a few valves around. 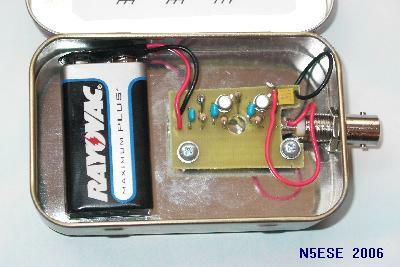 This is a very simple 5 watt CW TX based upon a TTL logic chip. There is just one "tricky" component and this is Cx. This component should have an impedance of about 10 - 50 ohms at the frequency of interest. The high-performance direct-conversion receivers described in the references may be easily paired with a CW transmitter to make a simple transceiver of very respectable performance. Looking for a project that will let you try some of your own “scratch built” ideas? 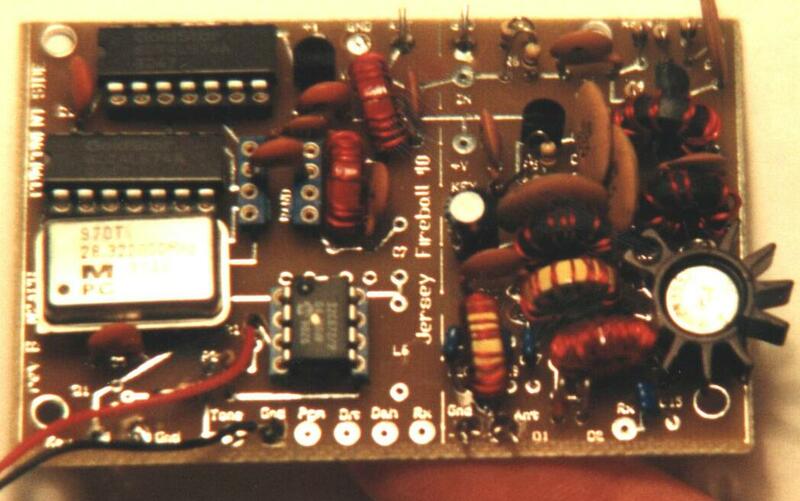 Here is a starter low power transmitter circuit for that pursuit. Lors de sa conception, cet émetteur a été prévu pour quatre bandes (80, 40,17 et 15 m), 100 W de puissance de sortie en SSB, réalisé intégralement avec des tubes, avec le schéma le plus simple possible. I'm always on the lookout for useful gadgets that make it simple to do a big job. Well describe a few such products on this page. We'll look at how a very simple RF noise generator can be used to measure receiver filter response, for off-the-air antenna tuning, for making antenna measurements, and for troubleshooting electronic circuitry. 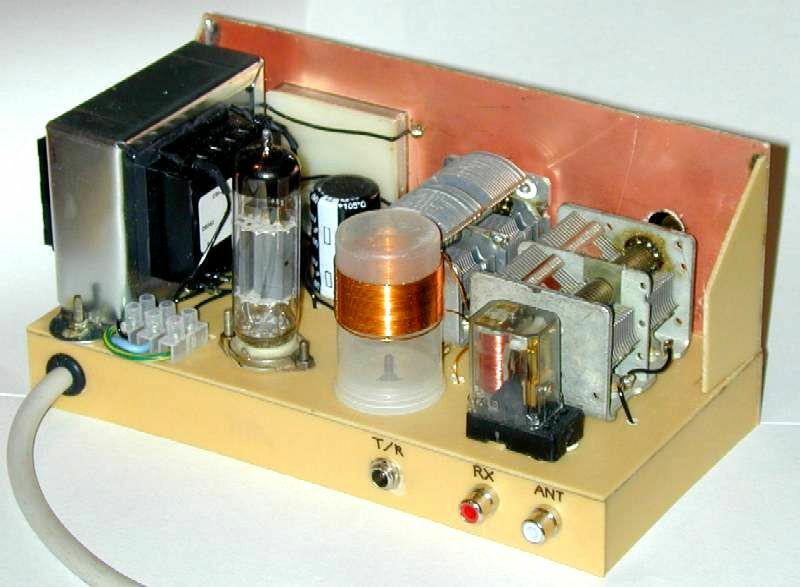 This one-valve (ECL82) CW Transmitter occupies a very special place in my amateur radio history. I was first licensed in 1994 but did not operate on air. I committed to only ever operate equipment which I had made myself. 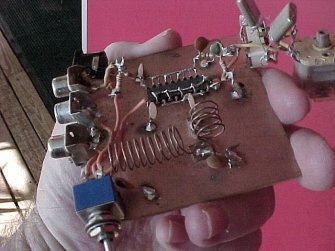 I always wanted to build a simple 160-10 meter AM driver transmitter. Over the years I have built/gathered a remote variable power supply, a hi-fi modulator and an digital RF generator that made this project very easy. One of our club elmers, Clark Fishman, WA2UNN came up with a couple of twists on the popular theme of using a TTL crystal oscillator "can" as the heart of a milliwatt-level transmitter. 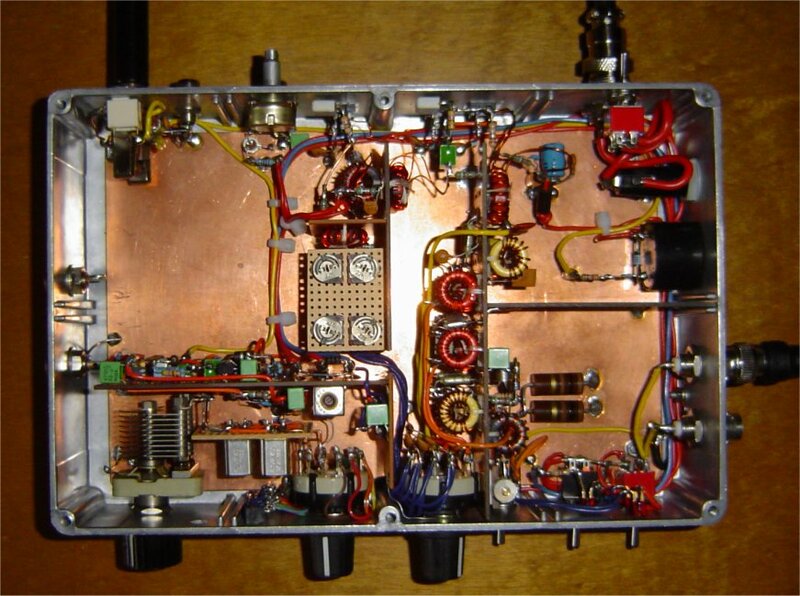 N7KSB's experimental 1/2 watt CW transmitter uses a 74HC240 high-speed CMOS octal buffer, one section which serves as a crystal oscillator, four sections of which amplify this signal, and three sections of which are unused. I recently purchased quite a lot of the old "battery valves" at a junk sale. It seems that there are quite a few of these valves around as it is common knowledge that valves are obsolete so no-one wants them. 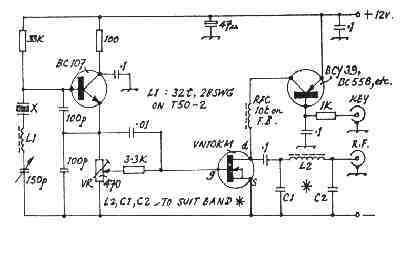 I've had an interest in building a simple VXO transmitter for many years, but was unsure that the limited tuning range usually associated with VXOs would be useful on the busy HF bands. However, the ability to switch a number of crystals, and cover a number of different bands in one transmitter greatly increases the chance of finding a clear frequency on which to operate. 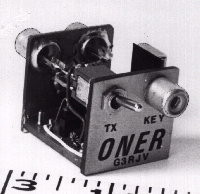 The Oner HF CW transmitter was first described by George, GM3OXX in Sprat number 45 and has been widely used as a simple but effective transmitter. It is so called because it can be built on a PCB just one inch square! 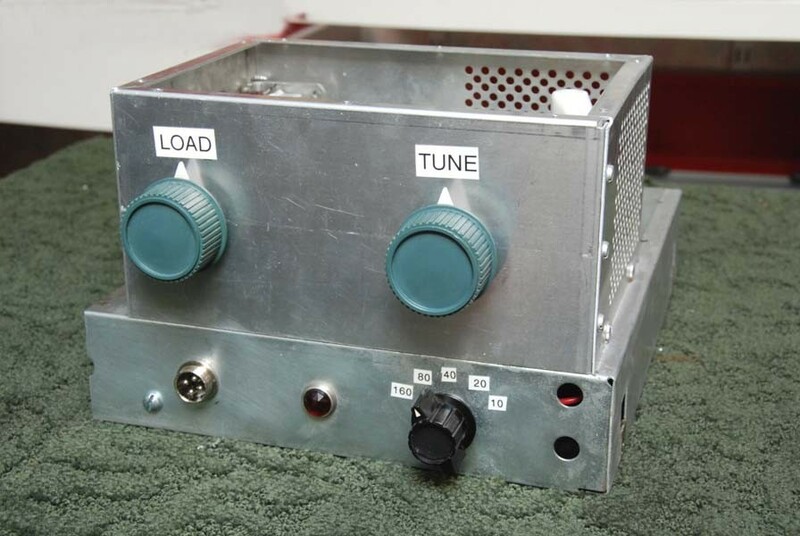 The OXO transmitter was originally described by George Burt GM3OXX in Sprat number 20 way back in 1979 and has proved to be a very popular little transmitter on it's own and as a basis for other rigs. The circuit is quite simple, but the oscillator and the PA are RF and DC coupled; the oscillator will not go without the PA,the 39 ohm and the 0.1uF in the PA emitter to ground. This clrcult is offered as an exerimental union of the OXO and ONER of GM3OXX fame! L1 has been included to increase VXO shift on 10 metres and higher bands.